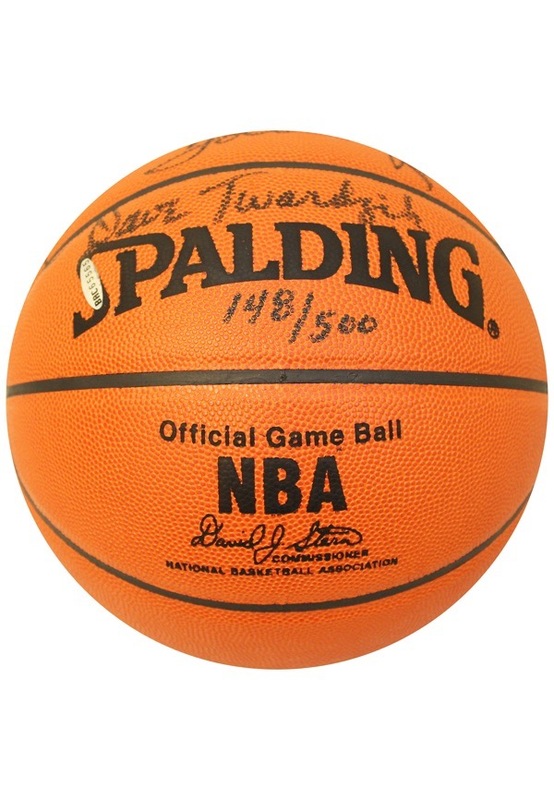 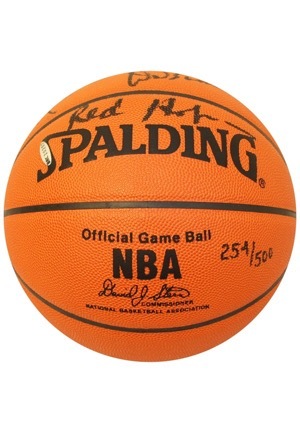 This Spalding basketball has been signed by six members of the 1972-73 World Champion New York Knicks. 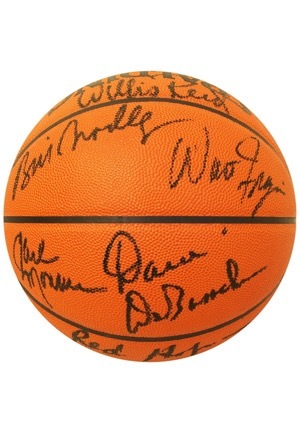 The signatures are done in bold black marker and include Hall of Famers Red Holzman, Willis Reed, Walt Frazier, Dave DeBusschere, Earl Monroe and Bill Bradley and in our opinion the signatures rate a combined 9. 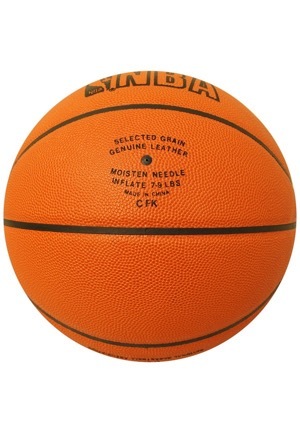 The ball is accompanied by a LOA from JSA.